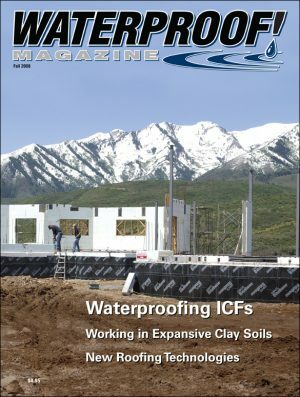 In foundation waterproofing, as with most things, prevention is far more effective than correction. So if your objective is to keep water from seeping into the basement and damaging the foundation, nothing works better than draining water away from the house as efficiently as possible. When problems occur, contractors say they usually arise from poor installation of foundation drains and improper backfilling and grading of soil around the house. If these parts are done right, there won’t be much water against which to waterproof. Do them wrong, and the problems could soak you in more ways than one. 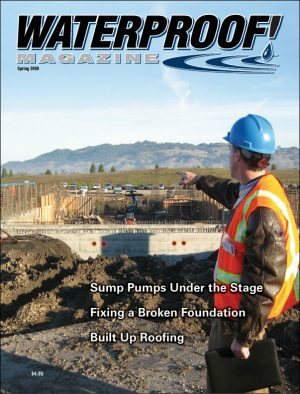 Tim Carter, owner of the AsktheBuilder.com web site and a veteran general contractor, said successful drainage starts with the proper application of drain tile – but he warned that this is where trouble often starts, because not enough builders take the time to install drain tile correctly. Equally important, according to Carter, is to put the water as far away from the basement as possible. Carter recommends that drain tile be installed the day after footings are poured. A sloped lot helps, but is not necessary. Otherwise, you may have to install a sump pump, as Carter had to do in his own basement. Carter prefers to install a six-inch pipe under the footer location, prior to pouring, right where he plans to install the sump. He cautions that the pump has to send the water to a stormwater drainage system or another location far away from the house. 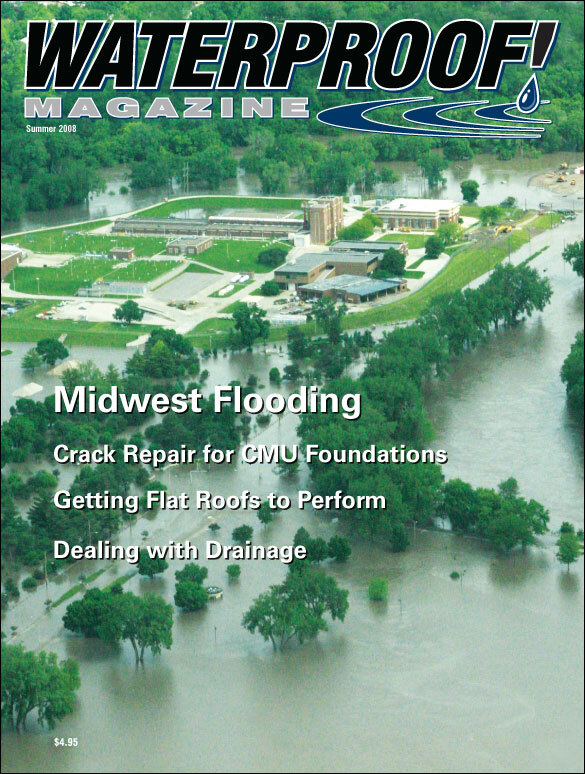 Steve Gross, director of marketing with Form-a-Drain, said footing drains should be standard, regardless of what local codes may require. He said Form-a-Drain is designed to ensure that placement. Gross also emphasized that sump pumps will be most effective when water can move in and out via a direct path. He said Form-a-Drain’s footing drain was also designed with that in mind. Just as important is the right application of either gravel or a suitable alternative. 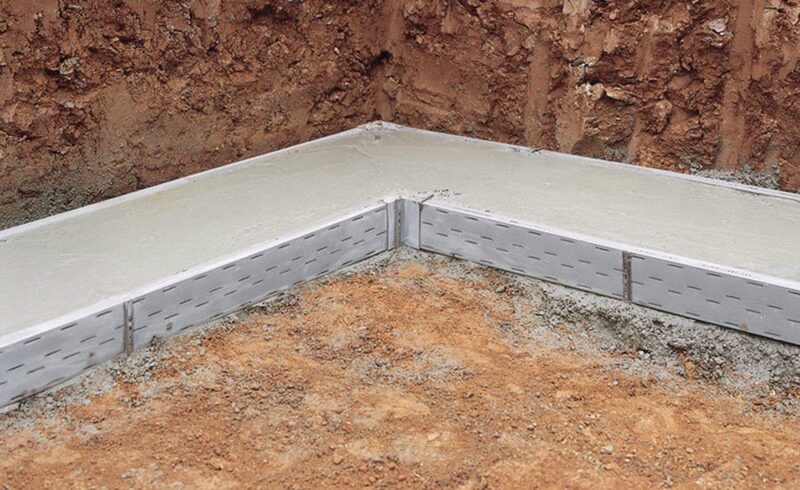 These footing drains double as footing forms, ensuring that the drain tile is installed at the proper height. Gravel has been a lifesaver for Carter on some jobs involving difficult slopes. Carter recommends two or three feet of one-inch diameter gravel over the footing drain, which he recommends covering with tar paper or a six-inch layer of straw. 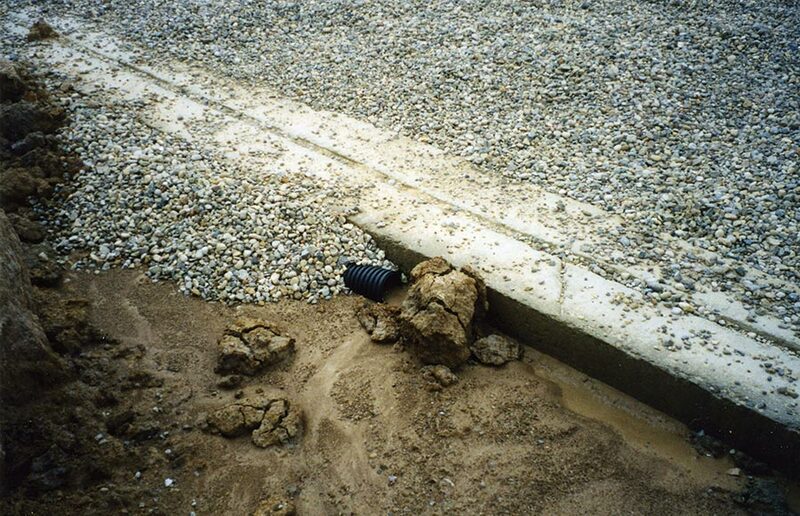 That protects the gravel, and ultimately the drain tile, from getting clogged with fine soil particles. The elimination of straw or tar paper is a huge mistake, he said, but it’s a common one. The large chunk of dirt in this photo, and any soil in the pipe, will need to be removed before the drain system can be finished. 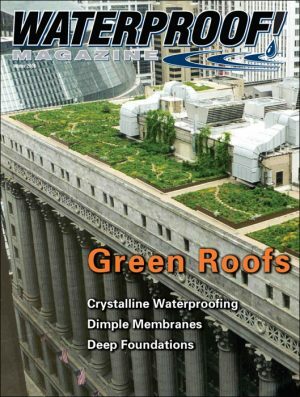 Cosella Doerken’s Tom Fallon emphasizes the importance of drain boards in the design of an effective waterproofing system. Cosella Doerken developed fabric as an alternative to gravel, partly to eliminate the energy costs involved with trucking gravel long distances. 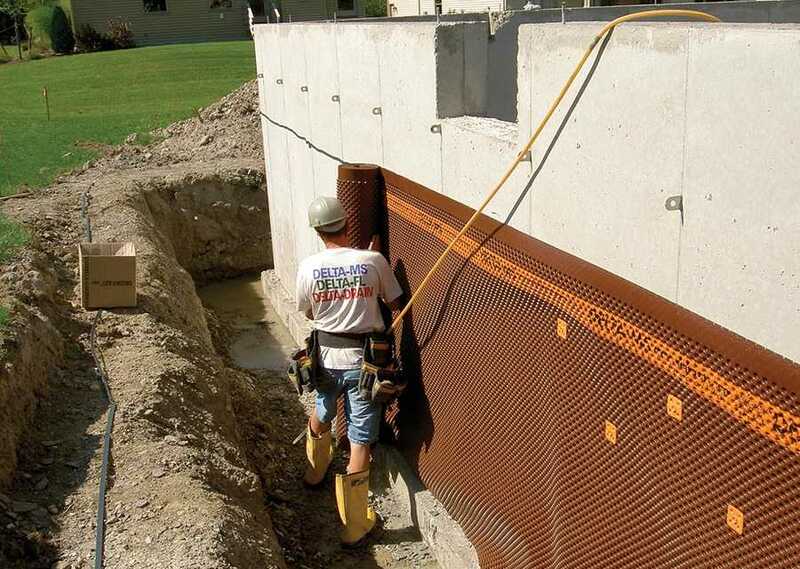 Cosella Doerken drain boards are made of high-density polyethylene, and can be made up to 10 feet high and 65 feet long. Mike Kreikemeier, president of Atlanta-based JDR, which manufactures the J-Drain, said geotextiles can be very effective in keeping soil from clogging the aggregate. They are widely used on both vertical dimpled drain sheets and horizontal drain tiles. Kreikemeier says that one key is to ensure that the top and sides of the dimple board are protected by a geotextile soil fabric. “That’s the number one issue we see – that there are exposed seams both at the top and side of the panels when they’re installed,” Kreikemeier said. The J-Drain, which is made of polypropylene, comes in widths up to eight-and-a-half feet and is designed to be more cold-resistant than alternatives made of polystyrene. 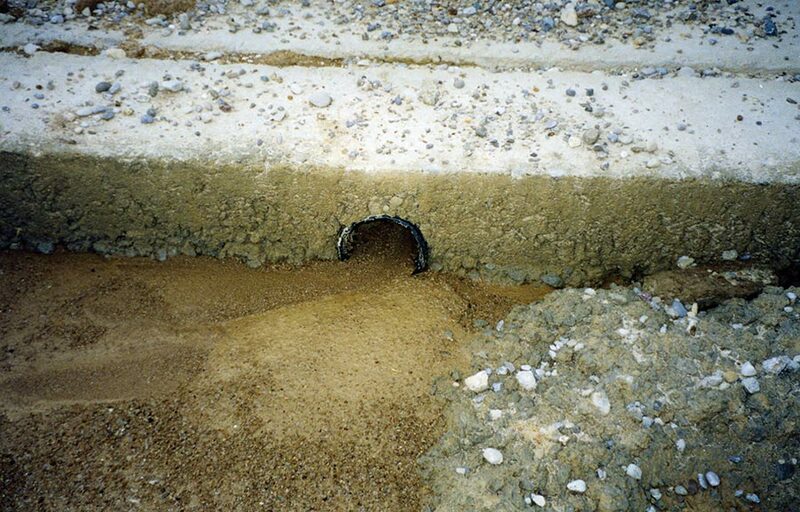 A question often arises as to whether interior or exterior drainage represents the right approach. 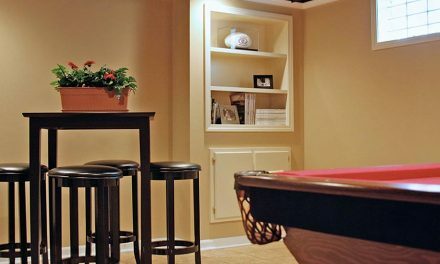 According to Steve Andras, president of Westport, Massachusetts-based Pioneer Basement Systems, the best approach is to install both. Just as crucial to good drainage is for contractors to use the correct method, and the correct timing, for grading and backfill. 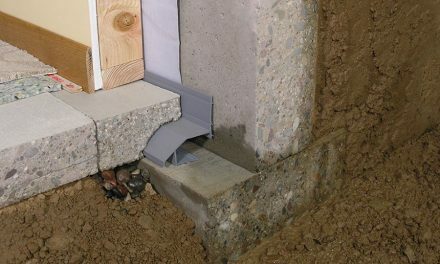 Done right, this step should help lead water away from the house. 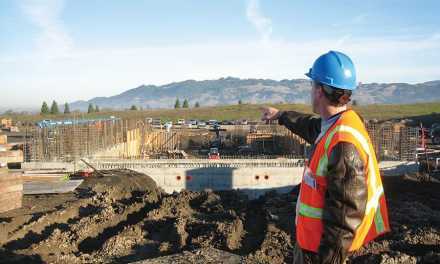 Patience is one factor; a poured concrete wall may take several weeks to get to full strength. 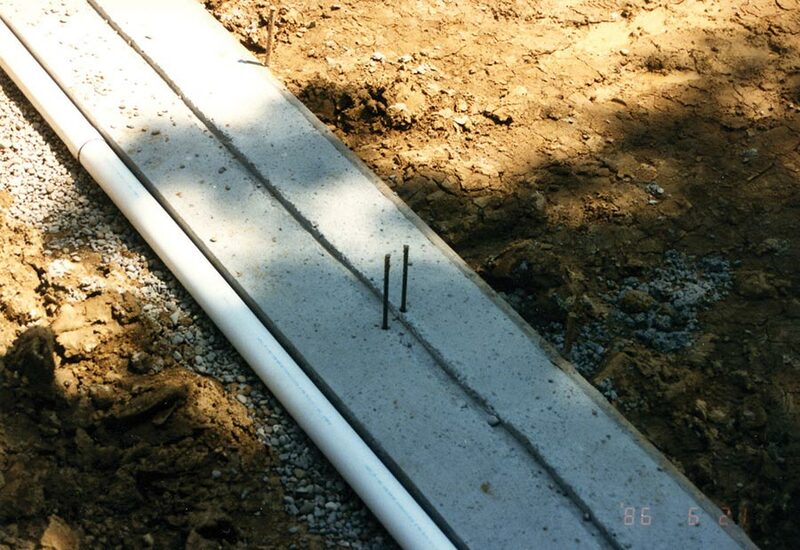 Proper drain tile installation: alongside the footer, in a clean bed of gravel, with the perforations facing down. After the walls are poured the tile should be covered with 2 feet of washed gravel, topped with straw, tar paper or a geotextile. The grading immediately adjacent to the building should be sloped about three inches for every five feet, at least 10 feet outward from the foundation—more in areas that get heavy rain. 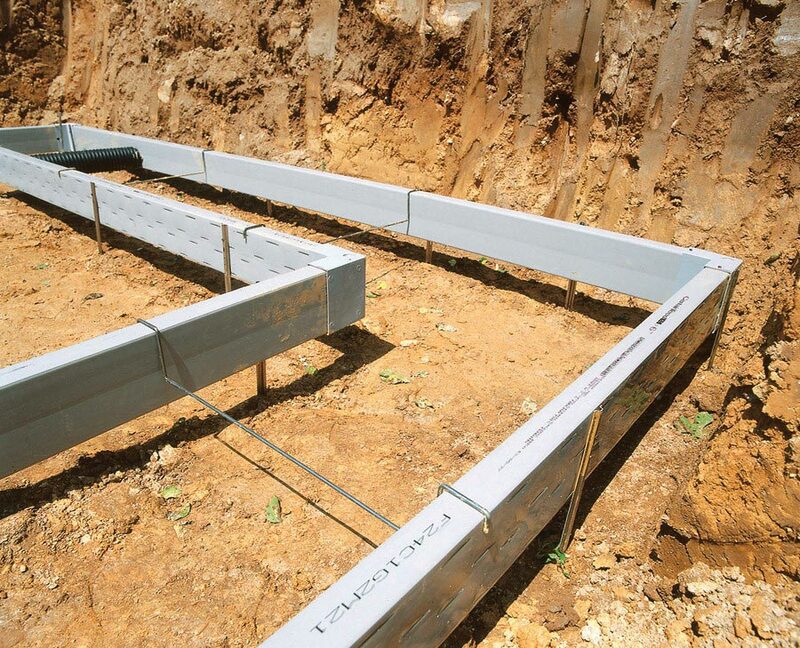 Contractors should keep soil at least eight inches below where the framing starts, and be sure to plant trees, shrubs and flowers at least a foot away from the foundation. Backfill also needs to be tamped firmly to limit settlement. Carter said many contractors err by failing to compact soil used for backfill. “When it is dumped around your house, it has huge amounts of air in it,” Carter said.